The following article was written by Socialist Party members William Foley and Robert Cosgrave who have participated in the Summerhill occupation. 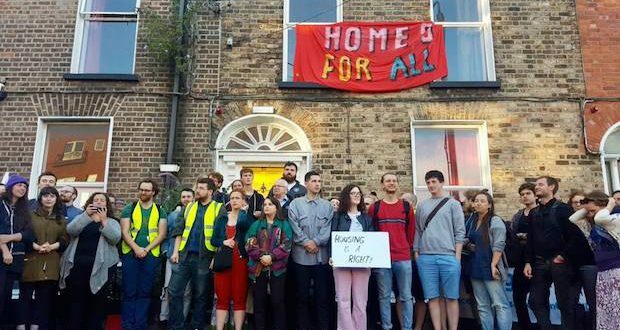 Since the night of 7 August, housing activists have been occupying apartments on Summerhill Parade owned by slum landlords, Pat and PJ O’Donnell. A banner hanging from an upstairs window declares: “Homes For All.”. In a week where pictures of six young children being forced to sleep in a Garda station in Tallaght have gone viral, the occupation has rightly brought into sharp focus the human reality of the housing crisis and those who profit from it. The properties had been vacant since occupants, living in horrendous conditions, were evicted. Indicative of the tenement like conditions of 100 years ago that are now developing in Dublin, 120 tenants lived in five properties where they had to cough up €350-400 a month to pay to sleep in a room that they shared with six to eight other people. Upon gaining entry to the building, the entrances and exits were immediately secured and a watch was placed in case the landlord sent in heavies to clear the place out, as has happened at several other evictions. When we arrived later on in the evening there was still a large crowd outside. Inside, the situation was relatively calm, though there was an undercurrent of tension which bubbled up occasionally whenever information filtered in from outside — through phones, or a whisper in the letterbox. A shift system was set up to ensure rotation of the people keeping watch on every floor, although most people chose not to sleep anyway and congregated in the halls sipping coffee and chatting politics and tactics — how should we raise awareness of our action? What would we do if the landlord’s goons came crashing through the door? Sometimes we peaked through the curtains, covering our faces with the Leo Varadkar masks that had been done up. The next morning we drew up plans to entrench our position: rotas to swap people in and out of the occupation, plans to do up the house, a media strategy, a role structure. In the light of day the grim conditions which the former occupants had to live in were more clearly exposed: pervasive mold, peeling walls, too many beds crammed into small rooms. The rising rents and drastic shortage has been facilitated and perpetuated by successive governments who have acted as accomplices to landlords, developers, and speculators. Over the last few years, the state has built barely any new dwellings: the rate has been in the hundreds, and even the tens, per annum. The government have focussed instead the HAP (Housing Assistance Payment) mechanism — a payment given directly to the landlords, which merely subsidises the private sector and does nothing to rectify the shortage of supply. In 2018, €301 million will be handed over to landlords. The rent pressure zones which have been enacted in built-up areas have done little to improve things. 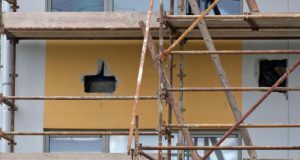 Besides the fact that capping increases at 4% hardly addresses the problem that levels are already far too high, landlords can easily circumvent the caps by evicting tenants on the basis that they plan on selling or renovating the property, or let family members stay there. Needless to say, these justifications are frequently used without basis, and the property is very often put immediately back on the market. Sometimes the landlord will simply evict tenants without excuse — banking on the fact that they will not have the resources, knowledge, or language ability (if they are not native English speakers) to contest the decision. Owners of property reap massive profits and wield inordinate control over the lives of working-class people who have to hand over increasingly large chunks of their income or be made homeless, which they have been in greater and greater numbers. This is why 10,000 people are homeless, why 500,000 young adults are stuck at home with their parents, and why social housing waiting lists grow. There is no “natural” reason for this, is the by-produce of the ruthless drive for profit being made at our expense. The occupiers are calling for more people to get involved in the occupation and the housing movement generally. The levels of support received both from the local community and online shows that there is massive potential to build a powerful movement. 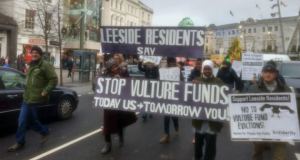 The activists in the occupation are demanding that Dublin City Council use the Compulsory Purchase Order mechanism to acquire the vacant building and use it for social housing. More broadly, they are demanding that all vacant land and property be taken into public ownership and used to provide good quality housing for those that need it. These are demands that the Socialist Party supports. 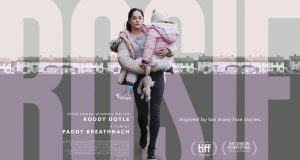 Linked with this we argue it is critical that a housing campaign based in working-class communities across the state, with the active support of the trade union movement, must have as its central demand the building of social and affordable homes so that housing provision is based on need not profit. This could be paid for by going after the enormous profits and wealth being amassed by big business and the super-rich in our society. The construction industry must be brought into democratic public ownership so these homes are built at cost price. We need housing provision to be based on human need and break with the model of the capitalist market which prioritises the profits of developers and landlords.